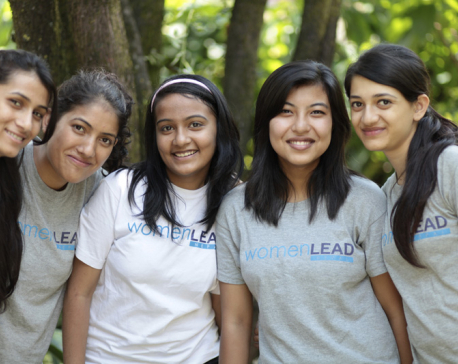 Nepal was invited to bat first after losing the toss. In its allotted overs, Nepal gave the target of 230 runs. 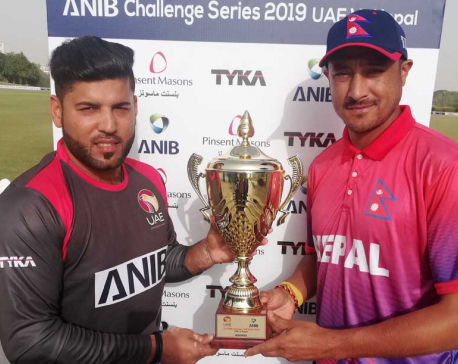 Captain Rohit Kumar Paudel scored 75 runs, the highest for Nepali players in the game. Pratish GC scored 41 runs in 23 balls while Bhim Sharki and Abhishek Basnet scored 39 and 15 runs respectively. Oman struggled with the bat. Pawan Sharaff took three wickets, Pratish GC and Surya Tamang took 2 wickets each. Likewise, Kushal Malla, Kamal Singh Airee and Bhim Sharki took a wicket each. This is the third win for Nepal in the four games it has played so far. 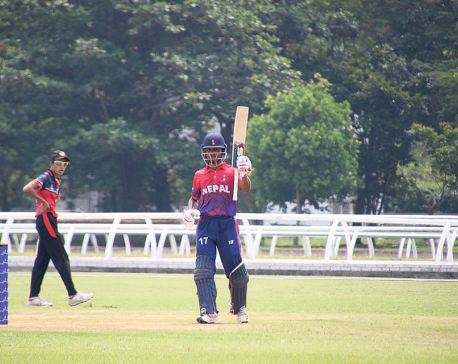 Nepal had defeated Singapore in its opening game but suffered a run's defeat against the United Arab Emirates. Then, Nepal defeated Malaysia in its third game. Six countries, Malaysia, Nepal, UAE, Kuwait, Oman and Singapore, are competing in the qualifiers.